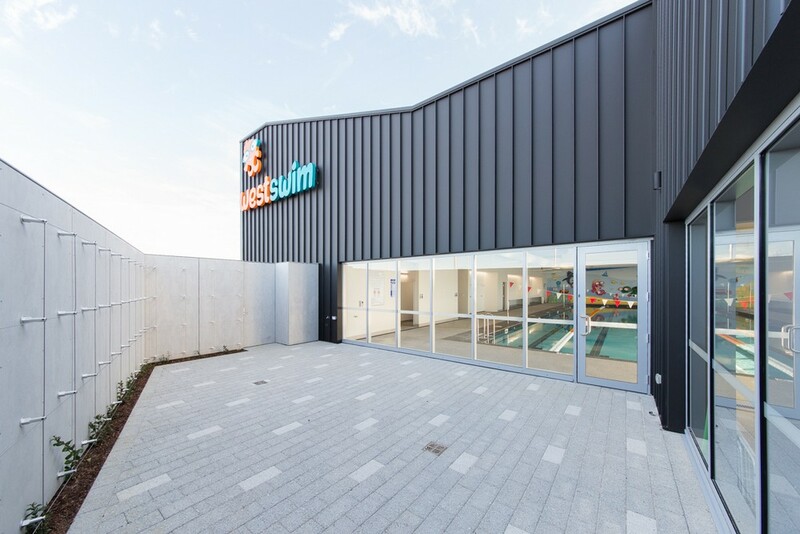 4 July 2018 – Global architectural firm Buchan has taken the design of Swimming WA’s latest aquatic centre – WestSwim Lakelands – to new depths, creating an innovative and sustainably-designed facility for children and adults. 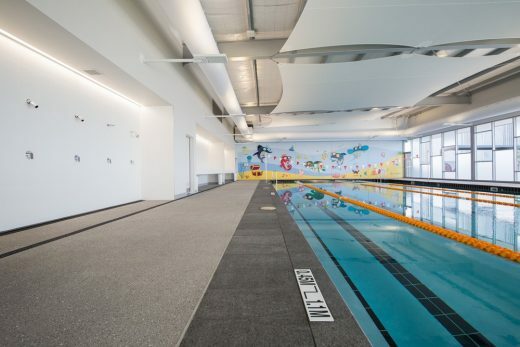 The purpose-built facility’s specially designed features include a pool with built-in teaching ledges and a changing area designed to offer enhanced parental supervision and safety. 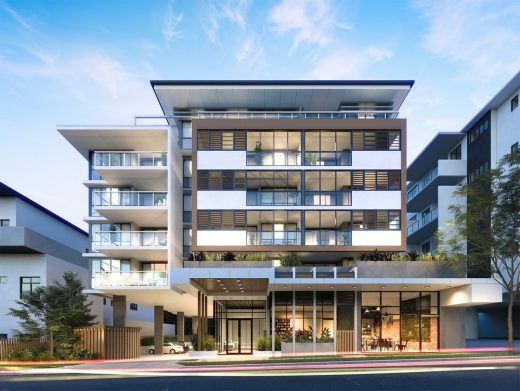 Buchan was appointed on behalf of PEET Ltd to provide architectural, master-planning and interior design services to the project, which was completed in May. WestSwim is a business unit of Swimming WA – a not-for-profit organisation dedicated to growing the sport of swimming in Western Australia. 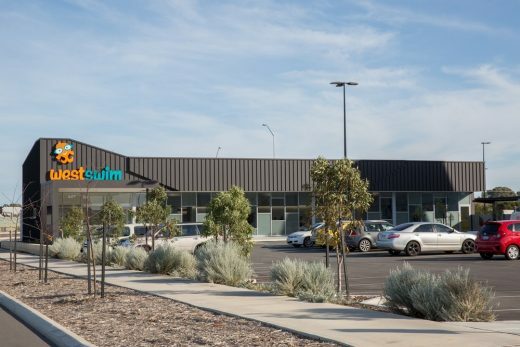 Buchan Associate Director Anna Meszaros, from Buchan’s Perth Studio, said the Centre was designed specifically for WestSwim’s highly credentialed learn-to-swim program, and its aqua aerobic and adult fitness programs. •	A pool hall featuring a 5-lane, 25 metre graded-depth swimming pool, with specialised in-built teaching ledges. 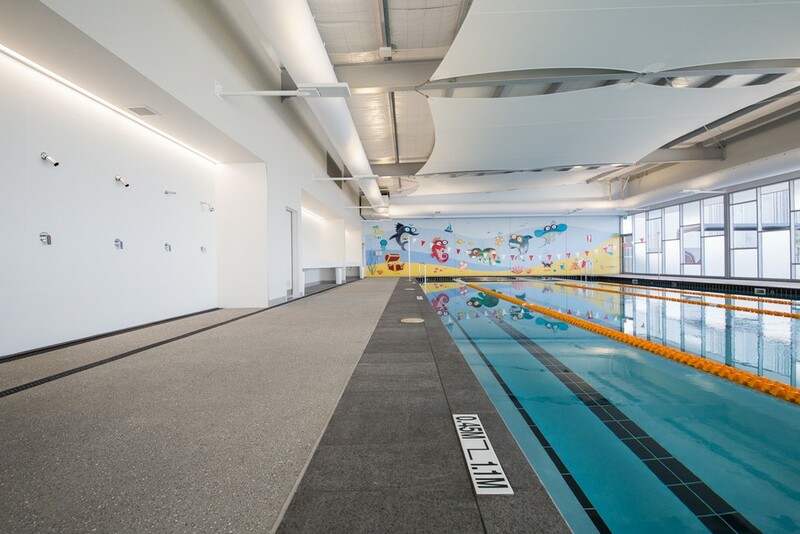 The pool is heated to 32 degrees to maintain user comfort all year round. •	An additional 48m2 outdoor entertainment area. 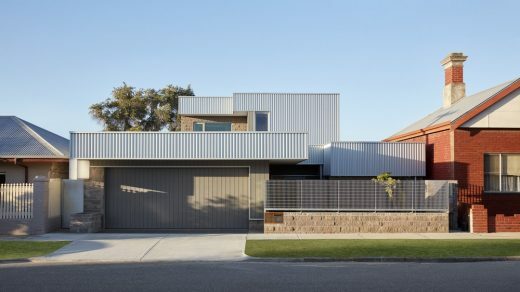 Ms Meszaros said the pool hall’s aesthetics reflected a coastal palette, with emphasis on a selection of light, natural wall and ceiling colours to enhance indoor light distribution, perceived lighting levels and reduces lighting energy consumption. When selecting materials, special consideration was given to ensure noise reverberation was minimised and the pool hall’s highly corrosive indoor environment – with high levels of heat and humidity – was accommodated. 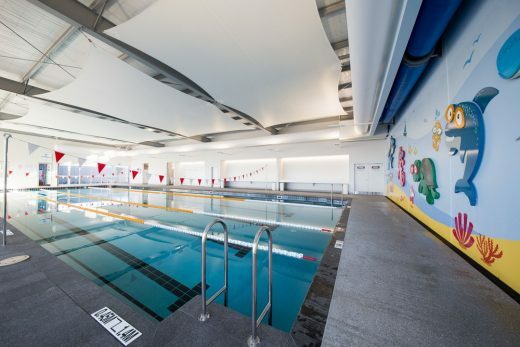 “The solution was to install a custom-designed tension member to fit the structural ceiling system and strategically position it directly over the pool to offset and diffuse the mid-high frequency reverberation,” she said. “We also worked with WestSwim’s graphic consultant and signage contractor to further reduce noise reverberation by introducing a 3D wall mural which provided an ‘acoustic band’ at the end wall. •	Automated, insulated thermal pool blankets to maintain water temperature and reduce evaporation out of hours. This has the added benefit of reducing humidity in the pool hall. 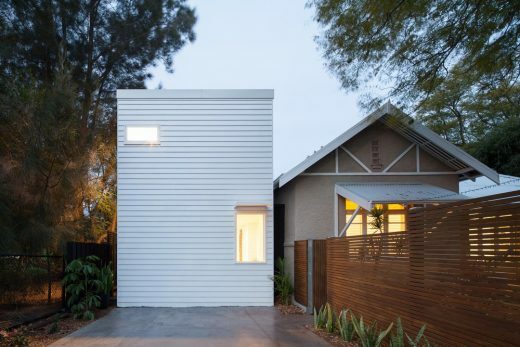 •	Use of water-wise drought tolerant landscaping. WestSwim Lakelands is located on the corner of Mandurah Road and Lake Valley Drive in the new Lakelands Town Centre. 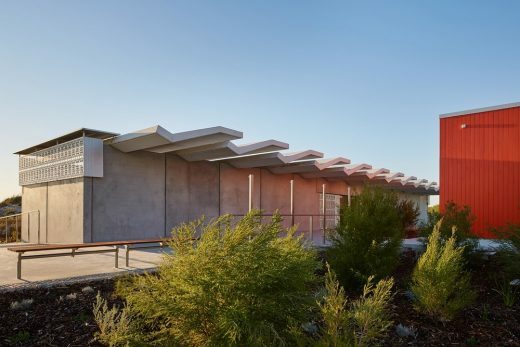 The purpose-built facility is part of the vibrant urban hub complementing the main street shopping precinct, library and early learning centre in Lakelands, Western Australia.